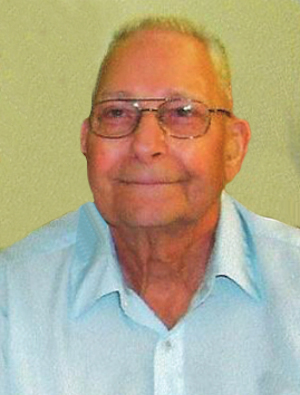 Obituary – Kukuk, Herman Eugene « Perry High School Alumni Association, Inc.
Herman E. Kukuk, 82, of Perry passed from this life on Saturday, June 15, 2013 with his family by his side. Services have been entrusted to the care of Palmer Marler Funeral Home and will be held at 2pm on Tuesday, June 18 at Zion Lutheran Church in Perry, OK with interment following at Zion Lutheran Cemetery. Public visitation will be held from 12pm to 8pm on Monday, June 17 and the family will greet friends at the funeral home on Monday from 6pm to 8pm. 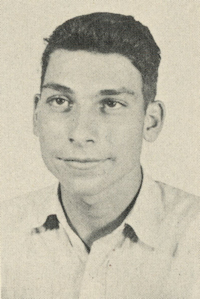 Herman Eugene Kukuk was born on April 2, 1931 in Perry, OK to Raymond and Anna (Feken) Kukuk. He grew up and attended school in Perry before enlisting in the United States Air Force. He served his country honorably during the Korean Conflict and was deployed to Germany for several years. During his military career, Herman had the distinct honor of serving as Dwight Eisenhower’s personal driver. It was during his time overseas that Herman became interested in mechanics and heavy equipment operations. Upon his discharge from the USAF, Herman returned to Perry where he met the love of his life, Audrey Schieffer. Herman and Audrey soon became inseparable, and on December 30, 1954 they were married at the Payne County Courthouse in Stillwater, OK.
During this time, Herman began a 10 year career working for the Walt Kukuk Dozer Service in Perry, Red Rock, and Ceres. He spent 4 years working as a grader and dozer operator for Noble County before finally accepting a position with OK Dept of Transportation as a truck driver and dozer operator. During his 20 year career with ODOT, Herman worked on everything from highway installation projects to leveling the ground around the state capital complex. He retired from ODOT in the early 1990’s do to a battle with diabetes. After retiring, Herman and Audrey got to take several wonderful trips together. Their favorite was a month long road trip from Oklahoma to Oregon and back. Herman still made time to assist his friends with their farming and dozer projects. He enjoyed working in his shop, and was well known for his handcrafted birdfeeders that many Perry residents purchased over the years at benefit auctions. He also loved to rebuilding small engines and spending time in his meticulously well-manicured yard. Herman was a member of the local VFW, American Legion, and the Oklahoma Polka Club. He was also an active member of the Zion Lutheran Church where he volunteered in the soup kitchen. He was a cheerful and friendly man who never met a stranger. He loved to make his friends and family laugh and his smile could light up the room. Herman never complained and had a way of making you know that you were loved and important. He knew the power of a good hug, and was famous for his extremely tight hugs and the well-placed firm pats on the back that were sure to follow. Herman Kukuk had many wonderful accomplishments in his life, but none of them made him more proud than his loving family. He always made his relationship with his wife and kids his top priority. Herman loved Audrey in a deep and sincere way. His family watched his example as he “took his wedding vows to an extreme level.” When he committed to stick by Audrey during sickness and health, he meant what he vowed. When her condition required 24 hour care, Herman spent many hours by her side playing games and rarely missing an opportunity to share a meal with her. Herman and Audrey’s marriage was truly a great love story. Herman still loved Audrey as much the day she passed away, as he did on that cold December day they were married in 1954. Herman was also a proud and supportive father and grandpa. He always made an effort to be at his grandkids sporting events and he enjoyed teaching them the basics in life, like proper vehicle maintenance and washing techniques. Herman Kukuk was a dedicated husband, a loving father, a proud grandfather, and a loyal and honest friend. While Herman’s prescence will be missed, his family takes great comfort in knowing that he is in the loving arms of his Savior, has been reunited with his soul mate Audrey, and is undoubtly looking down on them and flashing his signature kokomo peace sign. Herman was preceded in death by his wife of 57 years, Audrey Kukuk, his parents Raymond and Anna Kukuk, and his four month old great granddaughter Hannah Raye Kukuk. He is survived by seven children, Larry and Donna Kukuk, Marion, KS, Ray and Teresa Kukuk, Perry, OK, Robbie and Dava Kukuk, Perry, OK, Marissa and Gail Makovec, Ramona, KS, Anne Potter, Perry, OK, and Jim Potter, Tony and Jan Kukuk, Perry, OK and Sandra and Jed Kenaston, Orlando, OK. Two brothers, Harold Kukuk of Eucha, OK and Raymond Kukuk and wife Rose, of Enid, OK. 22 grandchildren, 28 great grandchildren with two more on the way, and his furry companion, Mojo. The family wished to express their appreciation for the wonderful care given by the staff at Perry Green Valley Nursing Home, Perry Memorial Hospital, Companion Hospice, Dr. Michael Hartwig, and the doctors and nurses at the OU Stephenson Cancer Center. They would also like to thank the congregation at Zion Lutheran Church for their prayers and support during Herman’s illness.